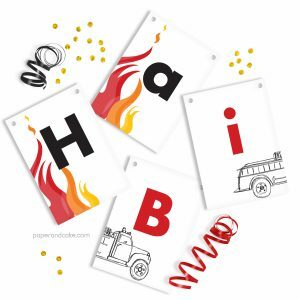 View cart “Fire Truck Mini-Bunting Cake Topper” has been added to your cart. 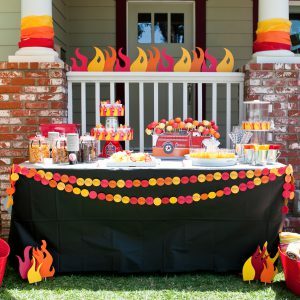 A four alarm birthday pennant banner with lots of flames, ready-to-hang. 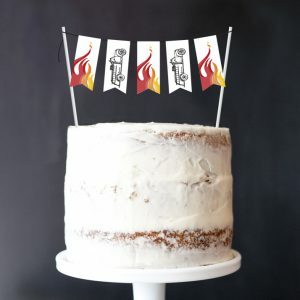 A ready-to-use cake topper ready for a 4-alarm party. Vintage fire truck illustration, paired with stylized flames in orange, yellow and red. Three styles of Flame templates in yellow, orange and red.